Our flight arrived into Ataturk International about half past four. It was an absolutely brilliant day from 35,000 ft and on our final approach. Though we spent nearly 30 minutes in a holding pattern waiting to get the go ahead to land, the wait was tempered by the view of Istanbul and the Sea of Marmara on a crystal clear day. As mentioned in a previous post, we had already decided to push back our outgoing ticket date before our plane touched down. It wasn’t cheap, but in hindsight perhaps one of the best travel decisions we’ve ever made. 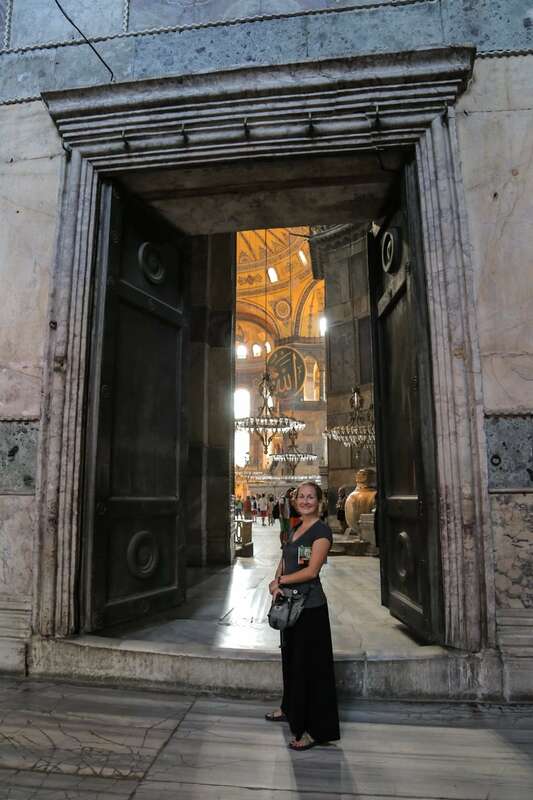 Five days in Istanbul — and no, it was nowhere near enough…but a good start. 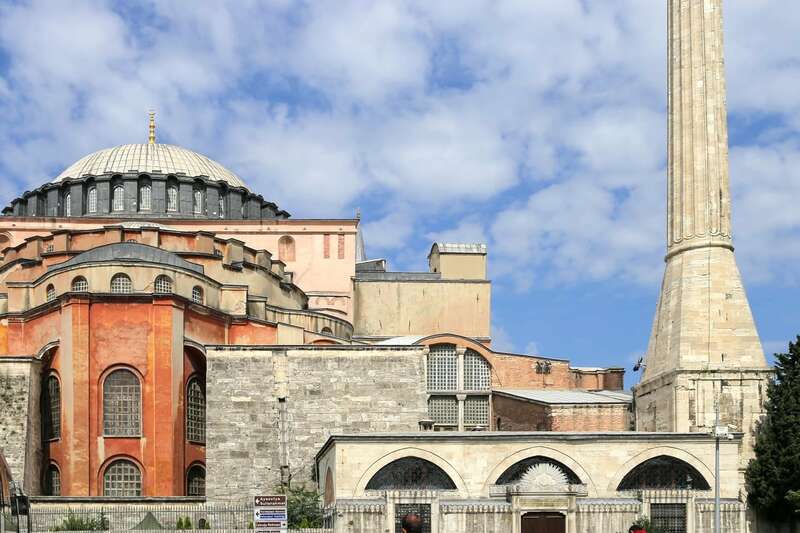 We knew we wanted to stay in the Old City (Sultanahmet). Generally, we like to stay in the oldest and/or most traditional/historic areas of cities. 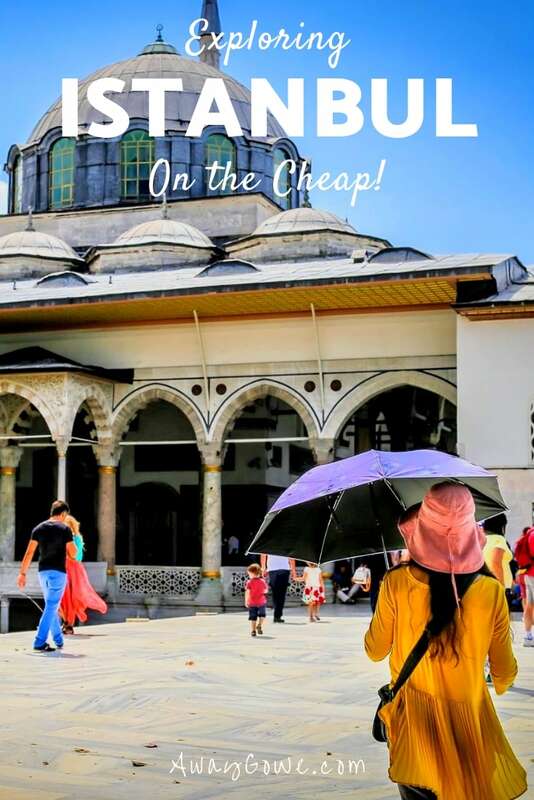 On the surface, these areas can seem prohibitively expensive for budget travelers, but a little research and persistence and deals can be found. 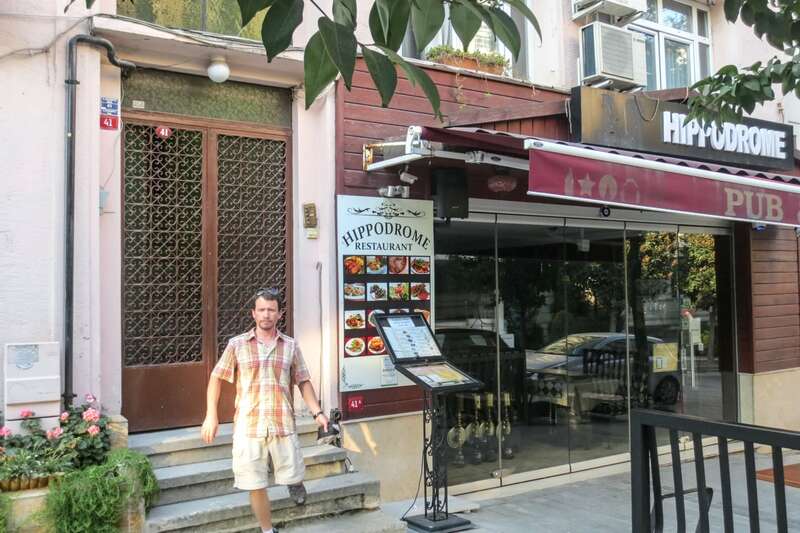 We stayed at Antique Hippodrome Apartments (Antique Hippodrome B&B) for less than what it would have cost the two of us to get a private room in one of the hostels on Akbiyik Caddesi, Istanbul’s answer to Bangkok’s Khao San Road. We don’t generally entertain bunks/dorms because they end up being almost the same price as a double for two people — for one person, they’re a great deal. 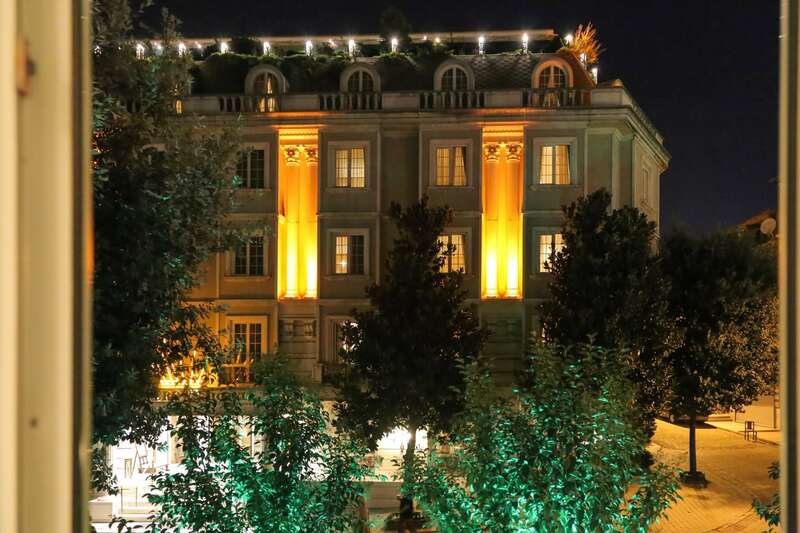 Antique Hippodrome Apartments, our home in Istanbul for five nights. Antique Hippodrome, as the name implies, was just blocks off of the Hippodrome and Blue Mosque in a historic area exploding with Ottoman ambience. It had a hip little cafe below and a variety of funky, yet well-appointed rooms above. Our first room was an incredibly good deal. Everything you would want from a hotel far above our budget — AC, fridge, hot shower, double-pane vinyl windows, soft linens, flat-screen TV (that we never use, but makes any room feel fancier), and all in the heart of the city. 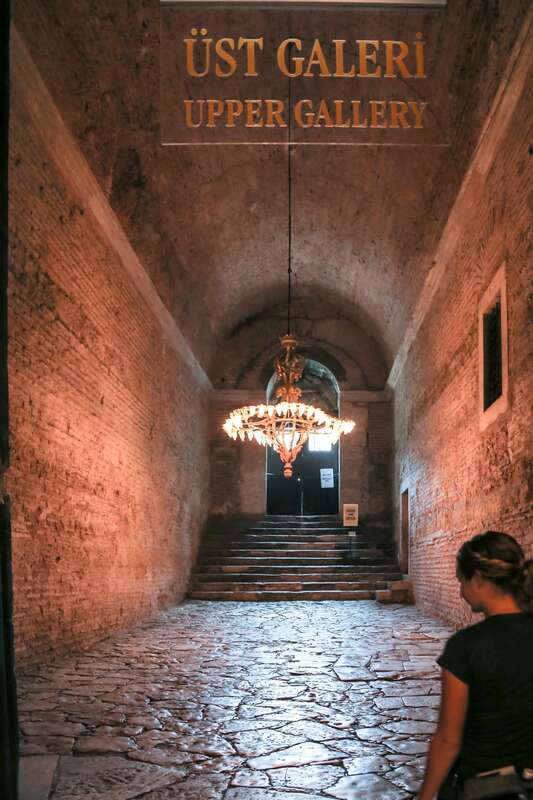 If you visit Istanbul, we’d definitely recommend this place. Make sure you get one of their private rooms as they are far superior (and maybe $8-$10 more per night) than the shared bath double rooms. The view across the street of a much fancier (and undoubtedly more expensive) lodging option than our own. Heading out on our first full day in beautiful Istanbul. Very exciting! 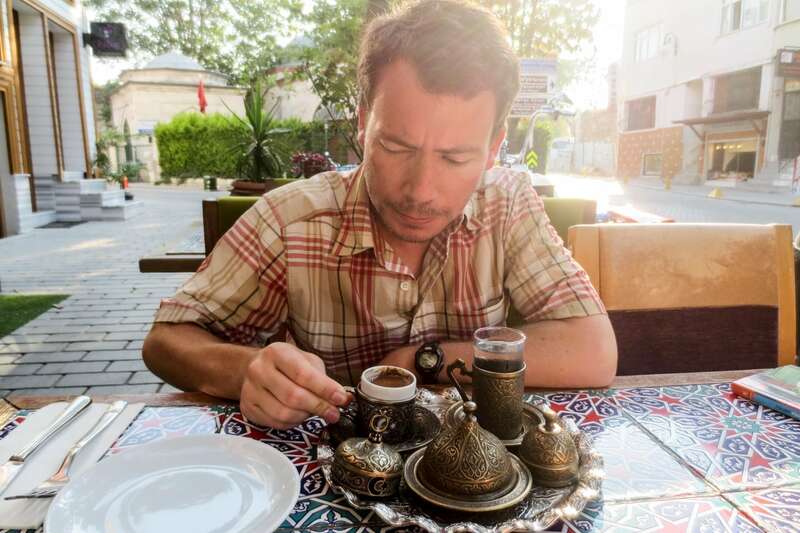 Turkish coffee in Turkey. These guys don’t joke around. I enjoyed the silty bitter coffee, but it always seemed overpriced for what you got (a tiny little portion that didn’t deliver the kick I needed following a nine hour flight and seven hour time change…so I followed it up with some Turkish tea and a coffee at Starbucks which managed to get me almost out of zombieland). 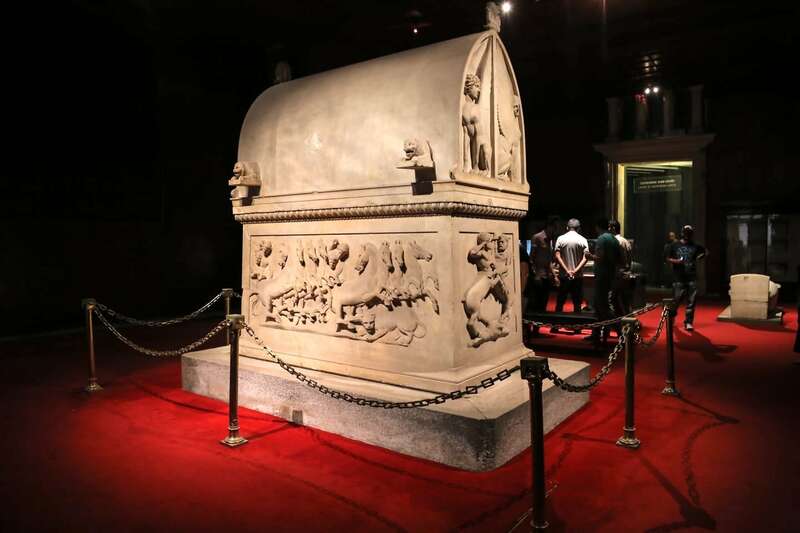 At the suggestion of a friend, our first item of business was procuring two 3-Day Istanbul Museum Passes. 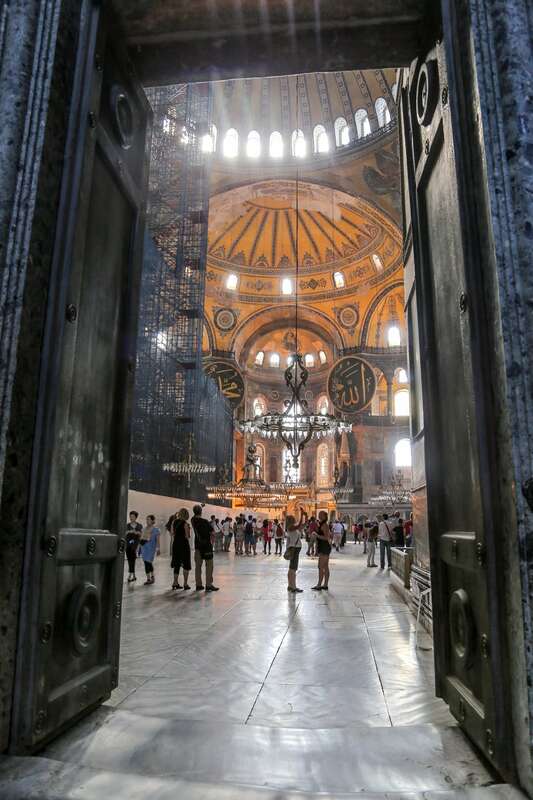 These little puppies aren’t cheap (~US$40 each) but a deal if you’re planning on viewing multiple sites including some of Istanbul’s most famous like the Hagia Sophia (above). 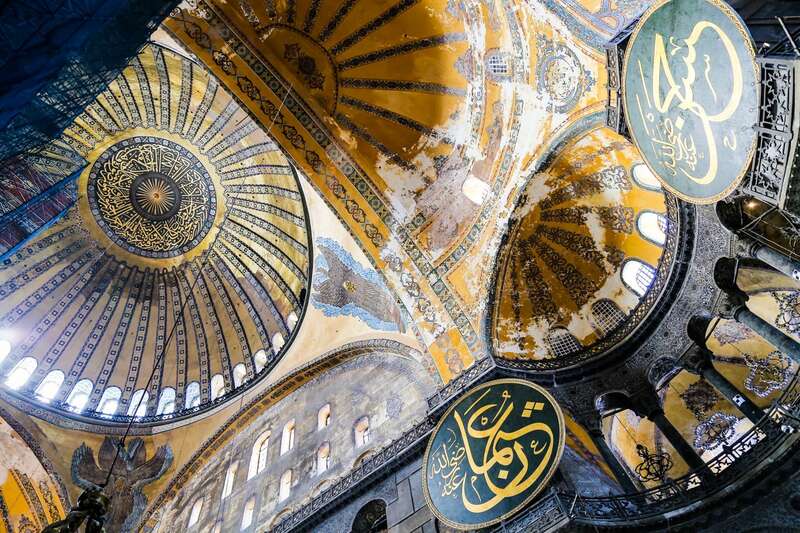 Alongside the Blue Mosque (Sultanahmet), Hagia Sophia (aka Aya Sofia) may be Istanbul’s most recognizable landmark. 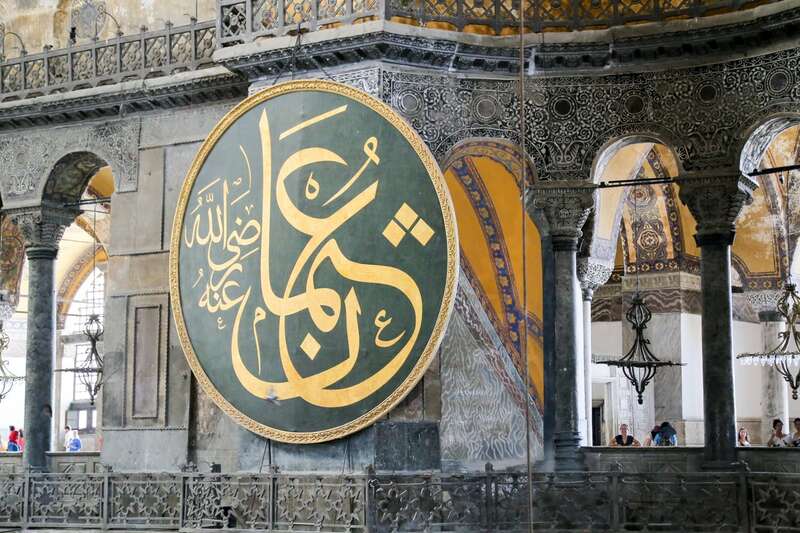 This enormous structure was completed in 537 A.D. and served as one of the Eastern Orthodox Church’s most important cathedrals from the 6th century until the Ottoman Turks took control of the cathedral in 1453 and turned it into a mosque. It is something else to stand in a 1500 year old building of this magnitude, changed very little over time (but for the Muslim touches). 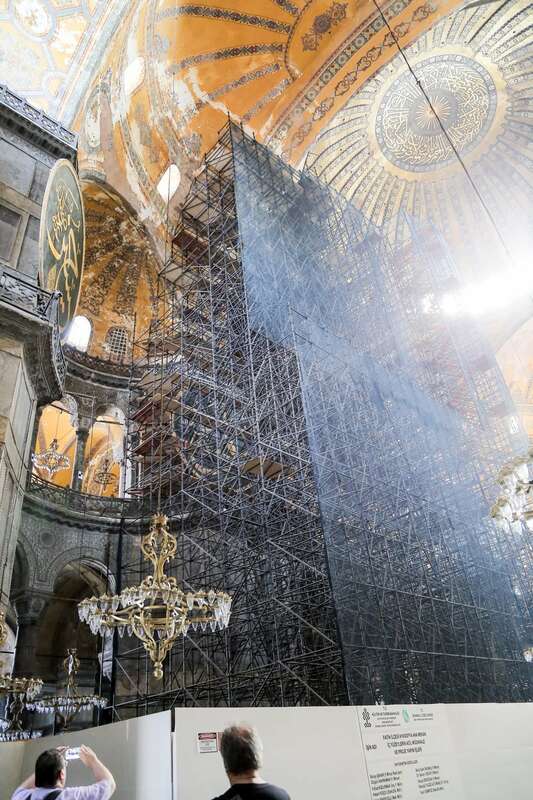 To put this in perspective, St. Peter’s Basilica at the Vatican in Rome was only finished in 1626, over 1,000 years after Hagia Sophia first graced the skyline of Byzantium (aka Constantinople). 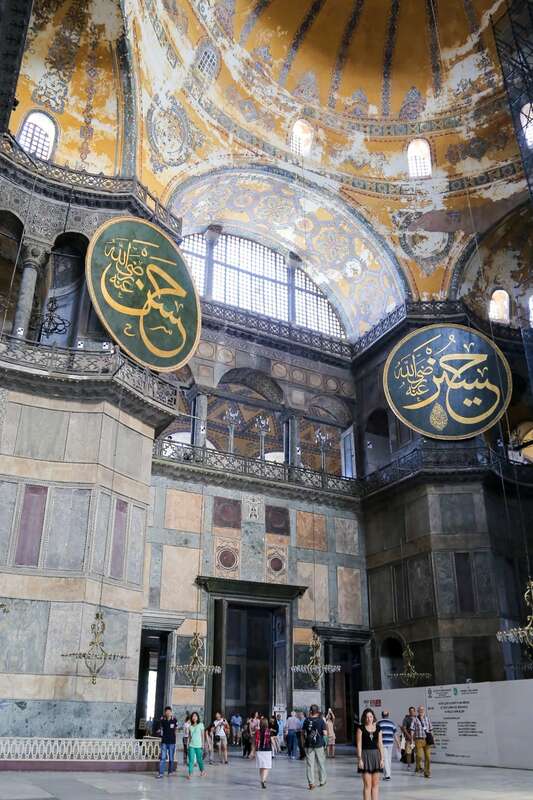 Today, the building is neither a mosque nor a cathedral, but a grand museum. Looking up at the biggest hulk of scaffolding I’ve ever seen — like any great world city, restoration seems to be a never-ending endeavor. The Sultanahmet area where we were staying roughly corresponds to the city limits of Constantinople, (Istanbul’s name prior to Ottoman conquest). It is a phenomenal city, whether or not you are drawn to history, but is a giant candy shop for the historically-inclined. 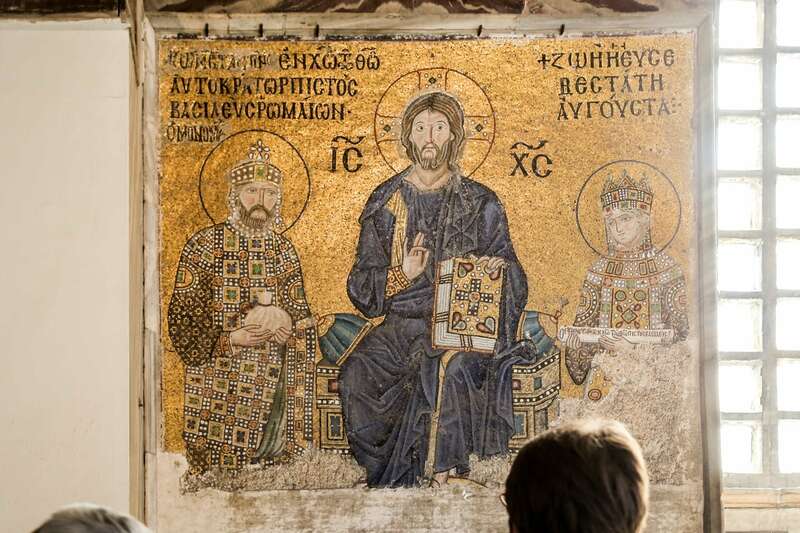 Myriad rich layers — civilizations built upon civilizations, dating back to the ancient city of Byzantium and beyond. As long as civilization has existed, so has this city. 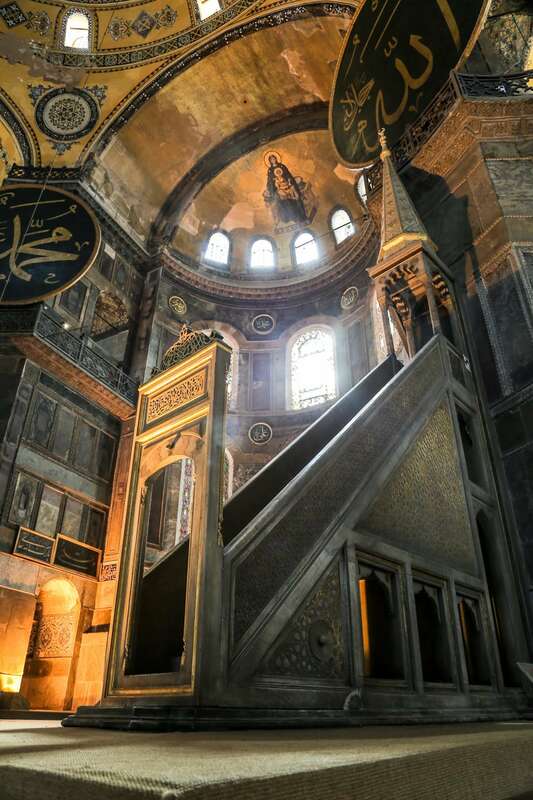 You don’t have to be Turkish to feel a pull here to something deeply personal and primordial. 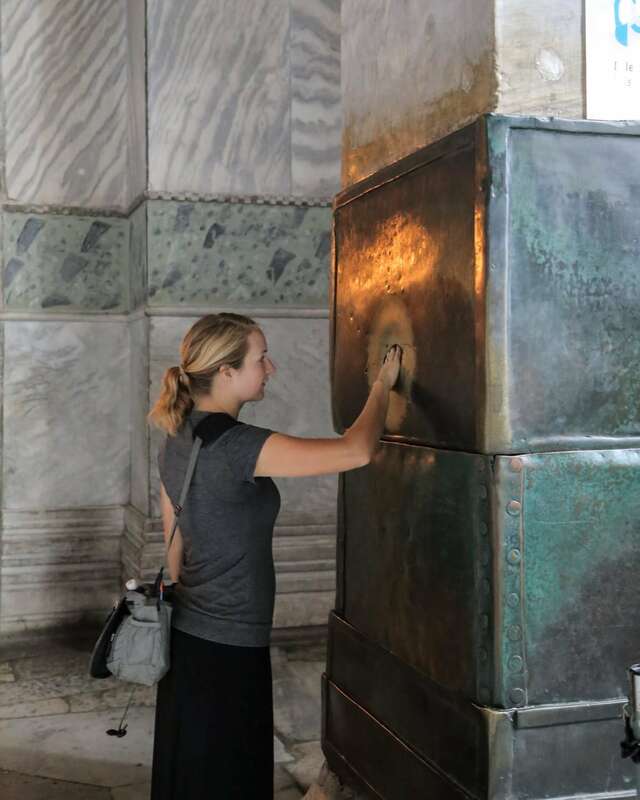 It is said that those who rub the weeping stone will have good luck. 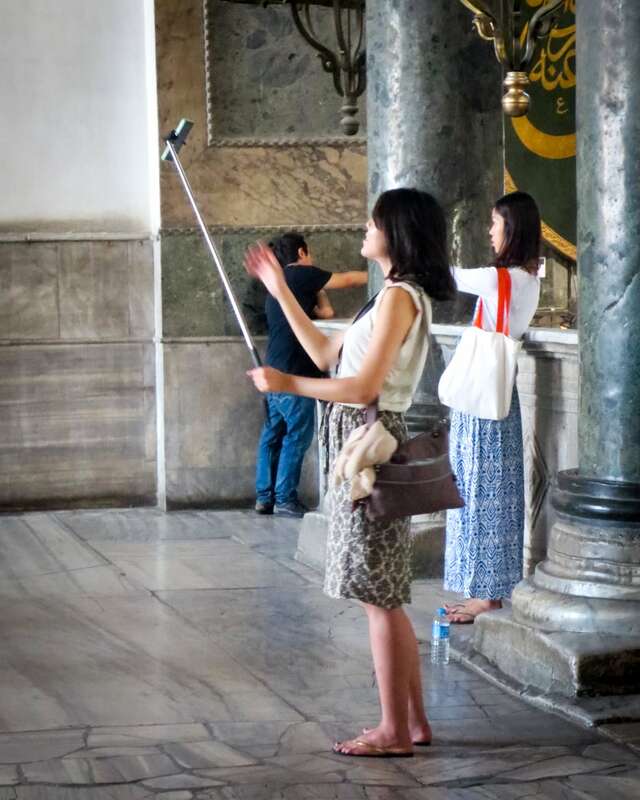 We saw a lot of this in Istanbul…taking the selfie to a whole other level by clipping your iphone (or in many cases, your GoPro) on to the end of a stick, then walking around the sites spending 100% of your time trying to get ‘that’ shot… A very strange thing to behold, but more and more common it seems. Absolutely brilliant solution to an age-old challenge or incredibly narcissistic? What do you think? Let’s play “Where’s Lori?” Can you find her? 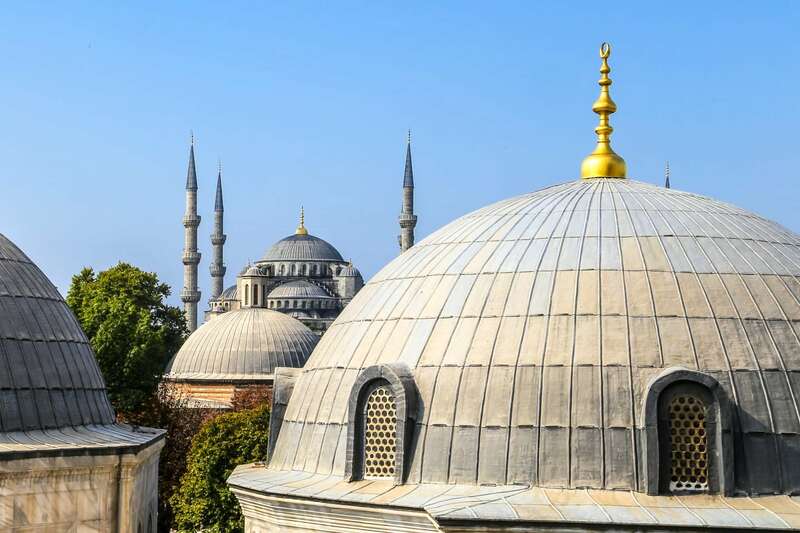 An other-worldly view of the Blue Mosque from the upper gallery of Hagia Sophia on a clear blue day. 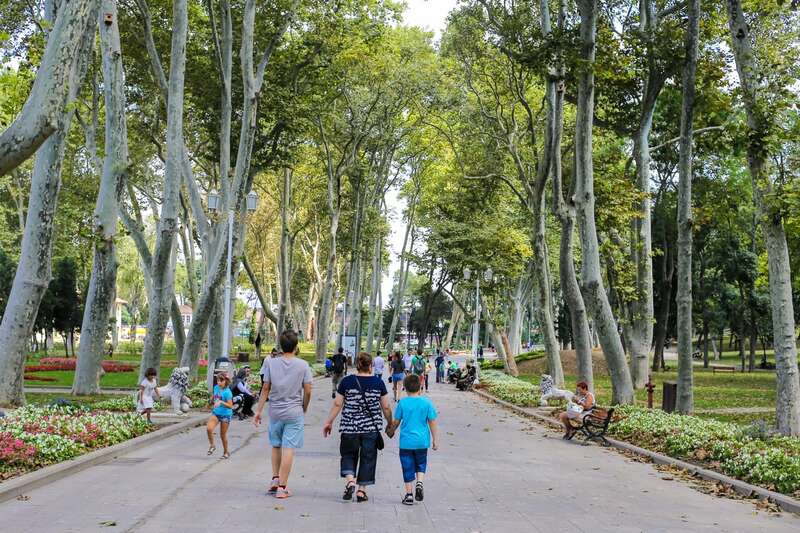 This park, near Hagia Sophia, was once the personal gardens of the Sultan who lived just around the corner. Unfortunately, I didn’t make a note of the details of this museum piece, but the lighting and aesthetic were perfect for picturetaking. Whatever it is, I can tell you it is very old. 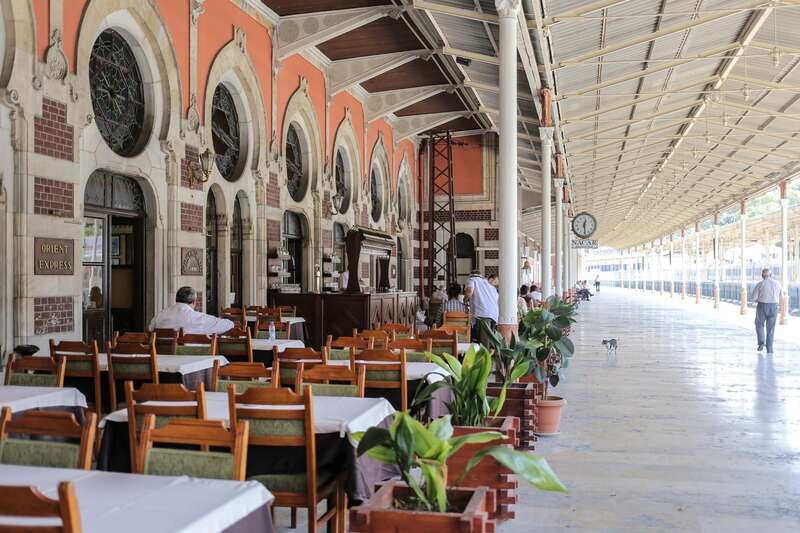 Sirkeci Station, the end of the Orient Express. A bit underwhelming today, but it’s fun to imagine what it must have been like in the first half of the 20th century at its peak, bringing passengers from all over to the easternmost point in Europe. Now (as of October 2013) the Marmaray rail links Europe and Asia in the largest project of its size, making Sirkeci, yet again, an important hub (though most of the action these days happens underground). 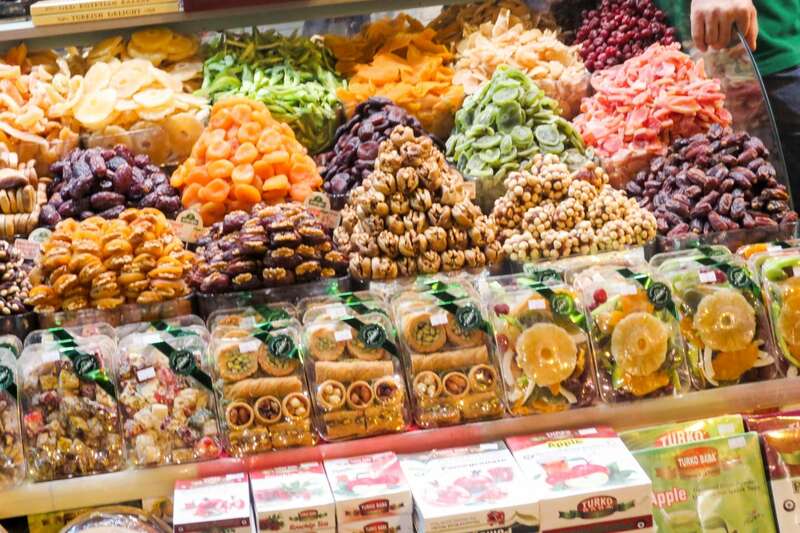 It wouldn’t be a trip to Istanbul without spices and sweets! 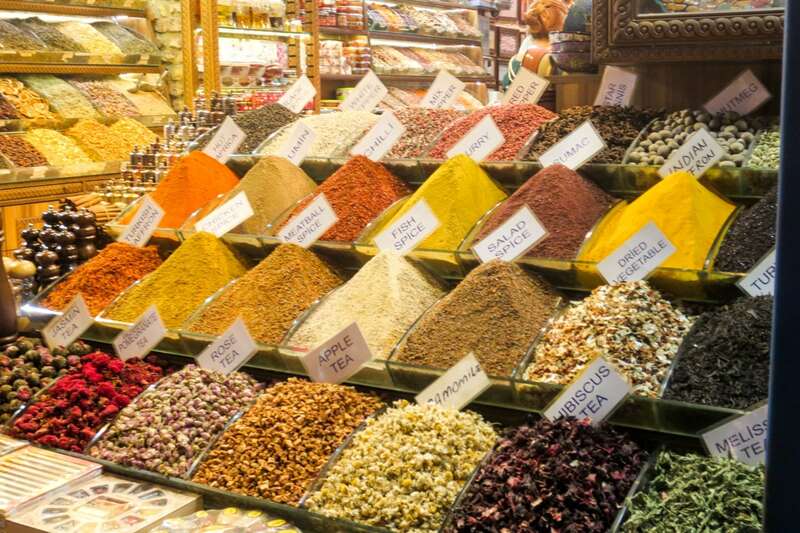 We visited both the Spice Market and the Grand Bazaar (the ancient precursor to modern shopping malls and still the largest covered shopping structure in the world) — between the two, I actually preferred the Spice Market, though neither were as traditional or grungy as I hoped they’d be. 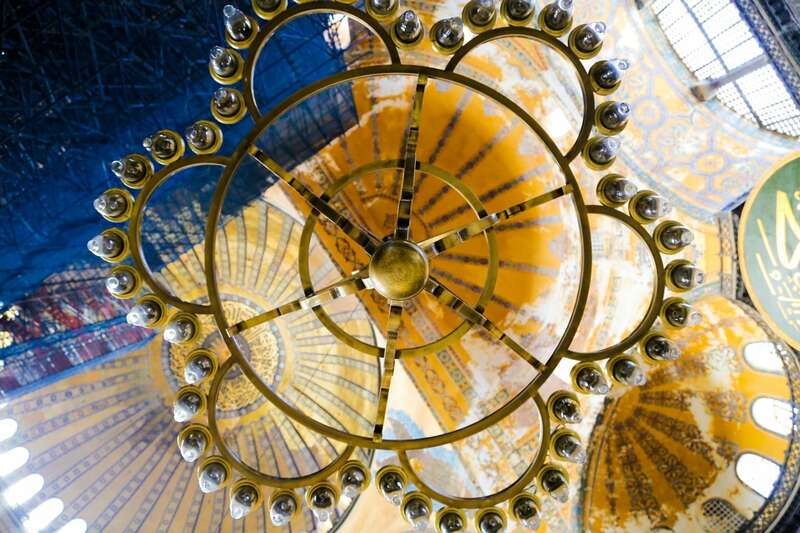 The Grand Bazaar, in particular, is a much more high-end affair than we expected. Perhaps one of the biggest surprises of visiting Istanbul was just how clean, modern and orderly things were. 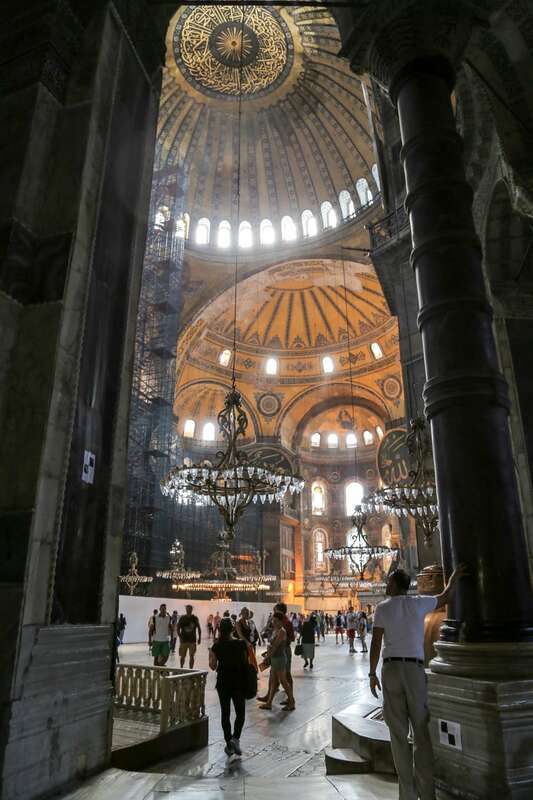 Istanbul most certainly gives Athens (and even Rome, in many ways) a run for its Lira. Of course, the modernism and cleanliness belies the poverty, unemployment and political angst beneath the surface (as Washington, DC’s gleaming marble and alabaster monuments do the same). But after traveling extensively throughout lower-income/ lesser-developed countries for the past few years, it’s refreshing to be in a foreign city where things (at least on the surface) seem to function, and function well. But the food, OH the food! 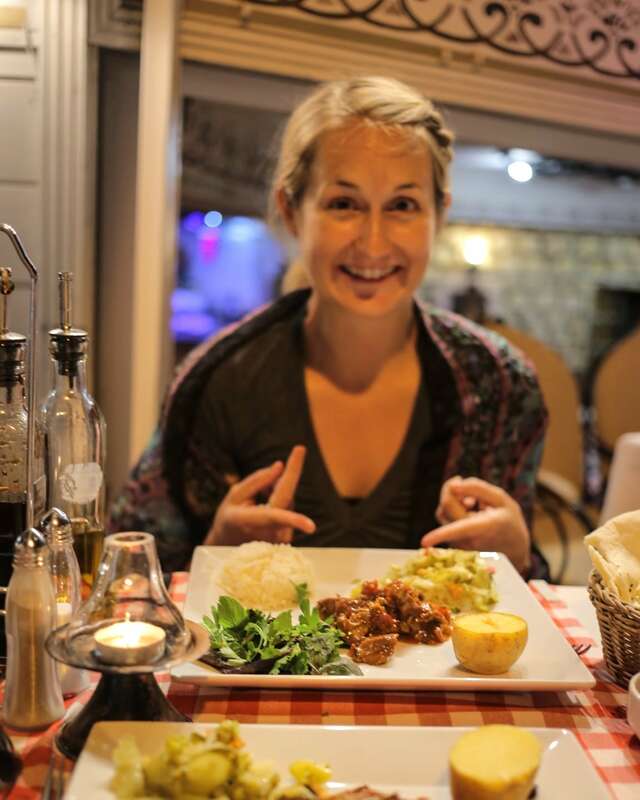 Yes, Istanbul is a UNESCO enthusiast’s dream come true, but also a foodie’s dream come true as well. It was suggested by a couple of friends back home that we stick with the Ottoman cuisine (rather than the modern Turkish cuisine), which turned out to be spot-on advice. The Turkish food was ok (doner kebaps, etc.) but the Ottoman food was rich and complex. It’s like having traditional homestyle cuisine in India, Africa or even the U.S. — it’s the stuff that grandmother’s make, and make better than any Michelin-rated chef. We had dinner one night at Aloran restaurant on a recommendation and would highly recommend it to others. 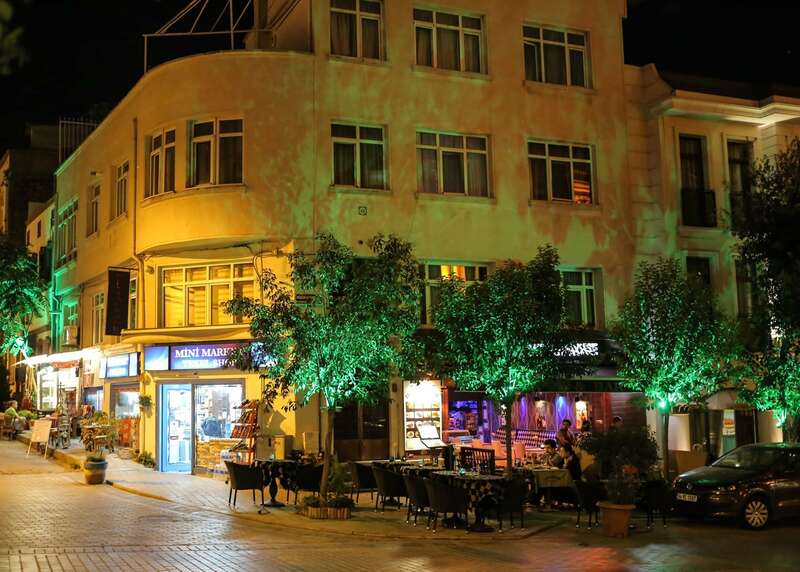 If you want to try the traditional Ottoman clay pot lamb stew, this is place to do it. 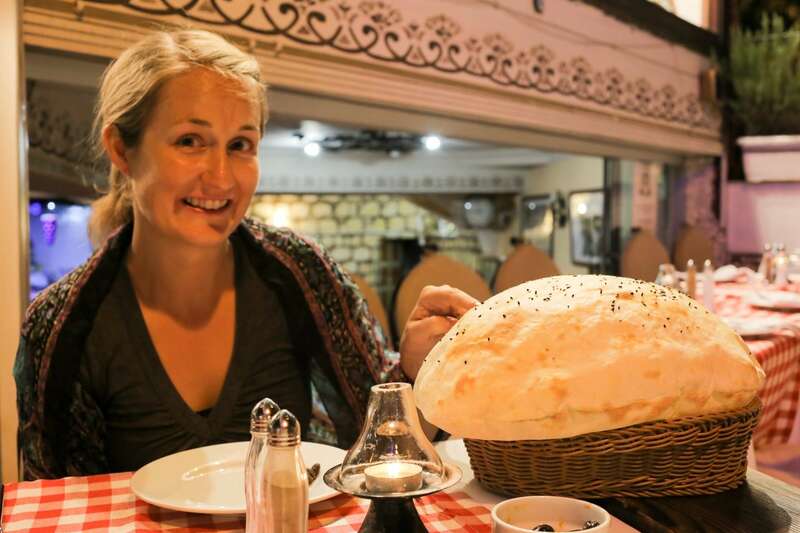 Restaurants in Turkey give you lots of extras (Aloran gives you a basket of the bread below, dips and other sides), so splitting one clay pot was more than enough for the two of us. 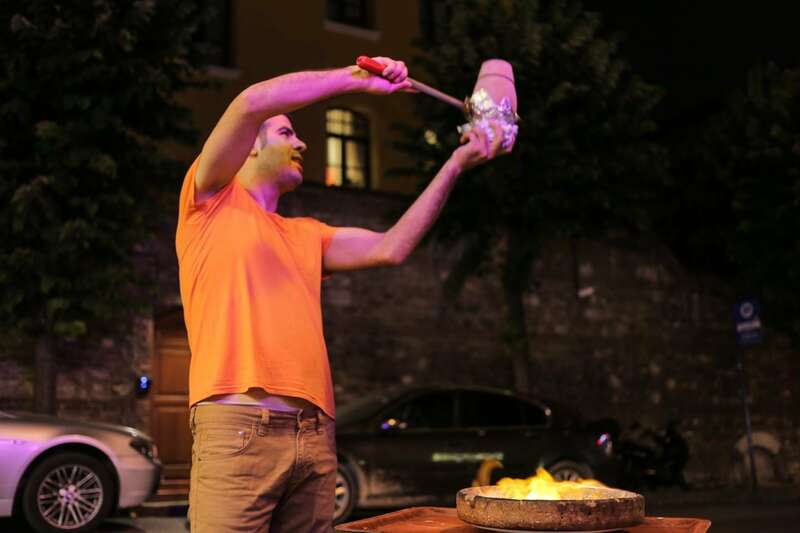 But perhaps the best thing about the clay pot is the presentation — your waiter brings the pot out in a bowl of fire and breaks it in front of you, pouring it’s delicious contents directly onto your plate. And, to top it off, they gave Lori a Nazar (or amulet) to ward off evil eye. I can safely say that we were Evil-Eye-Free for the rest of our trip! Thanks Aloran! Turkish Airlines — you can reserve a seat with a built-in baby cradle in front of it (the bulkhead seating area). Cats! Cats everywhere! And nary a dog in sight. What’s the deal with all of the cats? Speaking of… all of these men, men everywhere. I know that Turkey’s unemployment rate is relatively high, but I’ve never seen so many men of all ages sitting around at all hours on a week day drinking tea and hanging out with each other. Laughing, smiling, joking around. I want to be one of them! I want to know the secret! The automated salutation that all public transport turnstiles greet you with (in Turkish) bears an uncanny resemblance to: “Loose Bandages! Loose Bandages!” which Lori, the PT, found hilarious. So many pomegranates! 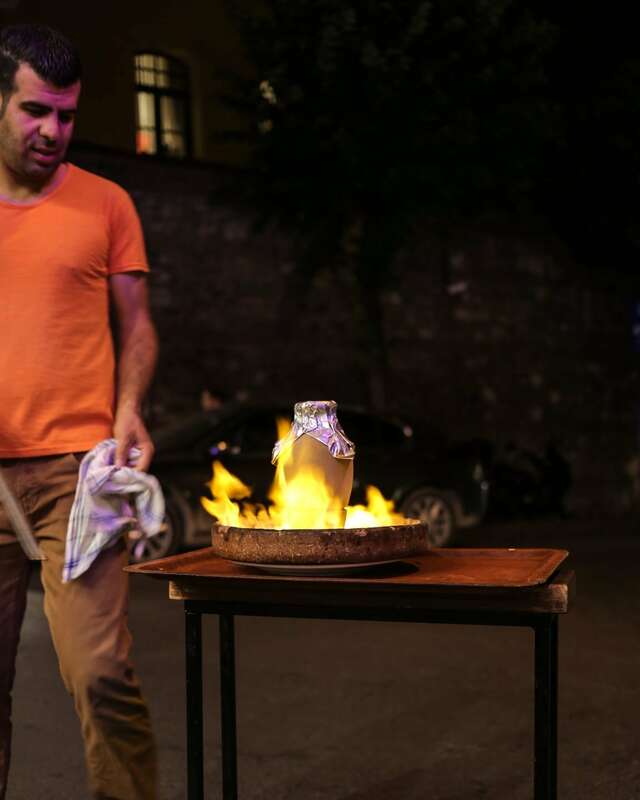 They sell fresh-squeezed pomegranate juice on the street corners. This stuff is expensive in the U.S., but cheap and tart and delicious here. Motion triggered lights…the Turkish seem to be obsessed with them. In our hotel, in every restaurant, every WC (toilet), the lights go on (and go off while your in the middle of doing your business). A great energy saver, but gets annoying after a while. 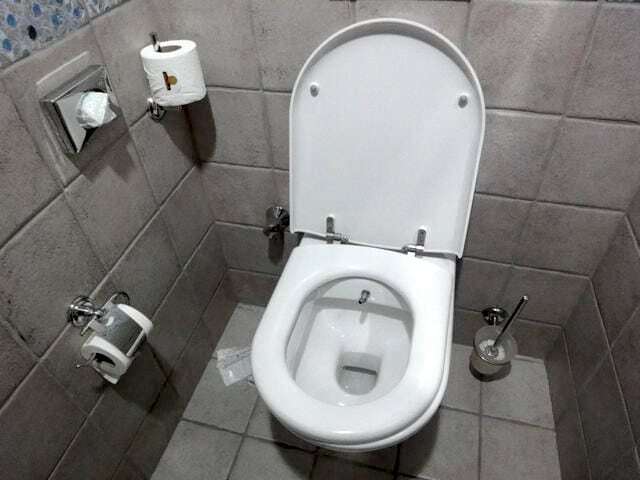 The integrated bidet — the French and Thai aren’t the only ones who like their butts clean and wet after taking care of business, but the Turkish have devised a clever contraption — The two in one toilet and bidet! Integrated Turkish toilet-bidet (Photo: greecetravel.com). This first post exceeds already high expectations, David! I am inspired to go to Turkey! Yummy sights and smells pictured were things I could almost see and taste. Incredible pictures! Our guide told us you wont see dogs because they are considered unclean in the Muslim faith (they have to repeat thier washing routine if one were to run past). Cats are not, even if they are visibly filthy; we loved all the adorable kittens!